This was essentially a no-budget video featuring Robert Hazen that was shot on a basic digital camera. Jared Balogh’s music made a huge difference in the final edit. Deep Carbon Observatory. Concept, Camera, Editing. I felt the final version of this video needed to be tighter, so I revisited the edit. Staples: “Staples Has Everything.” Concept, Re-Edit. Staples SBG: “Recycled.” Concept, Art Direction. Staples SBG: “Chair.” Concept, Art Direction. Staples SBG: “Cleaner.” Concept, Art Direction. 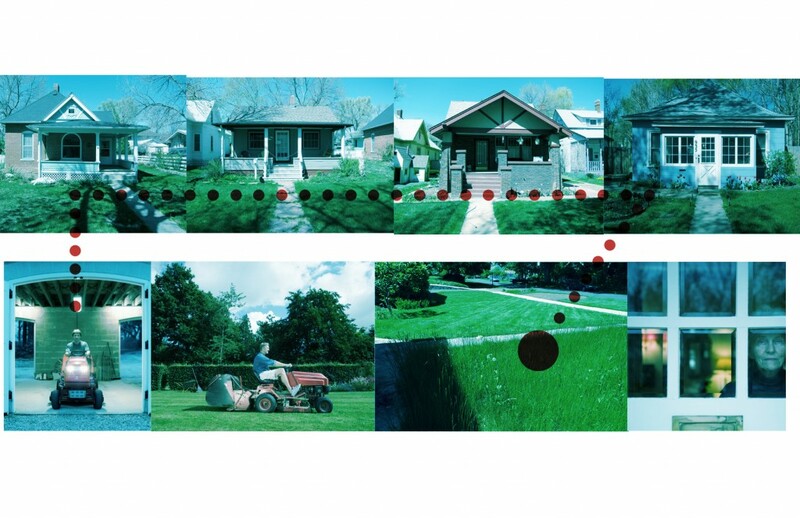 Staples: “Lawnmower.” Concept, Art Direction. 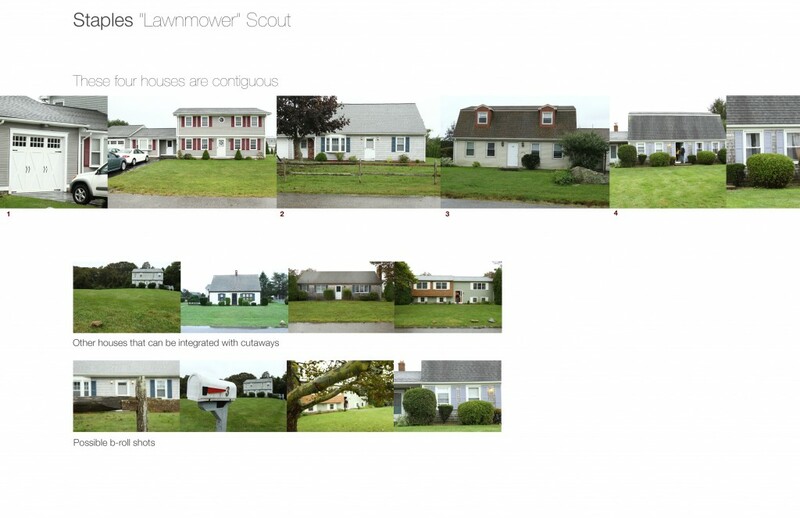 Some of the scouting and storyboard images for the Lawnmower shoot. This ad ran for a couple of days until it was pulled due to pressure from local teachers. Navigant Savings Bank: “Classroom.” Editing. This is the original edit of this ad. The client asked for a second, more cloying version where the girl actually plays a little song at the video. That was the version that ultimately ran. Navigant Savings Bank: “Instruments.” Editing. And a throwback. This is old, but still one of my favorites. Sports talk shows seem to take themselves too seriously. This seemed like a refreshing approach to promoting New England Sports Tonight. Fox Sports Net. “Park Bench.” Concept, Art Direction.